This month the first issue of Vogue Nederland will be launched. I absolutely can't wait to see how the Dutch version of the iconic magazine will turn out. 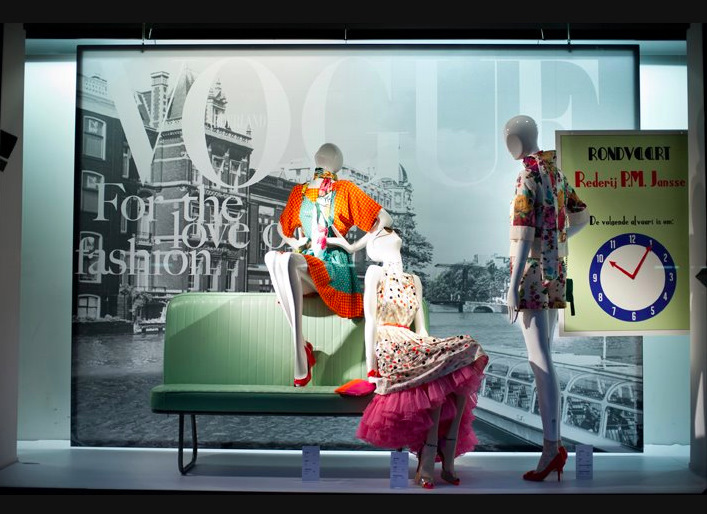 I'm a bit careful with high expectations, but let's hope there won't be any reason to be and that it will hit off to become a great addition to the already existing issues, creating many exciting opportunities for the creative Dutch fashion industry. I hardly ever buy Dutch magazines, so this might be a fresh change of menu;) Do you have a favorite edition of Vogue? 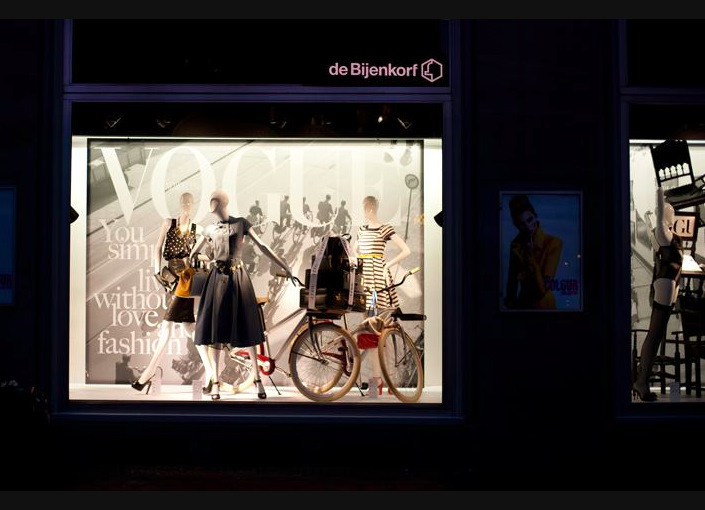 Vogue Nederland teamed up with the Dutch Warehouse the 'Bijenkorf' in Amsterdam. 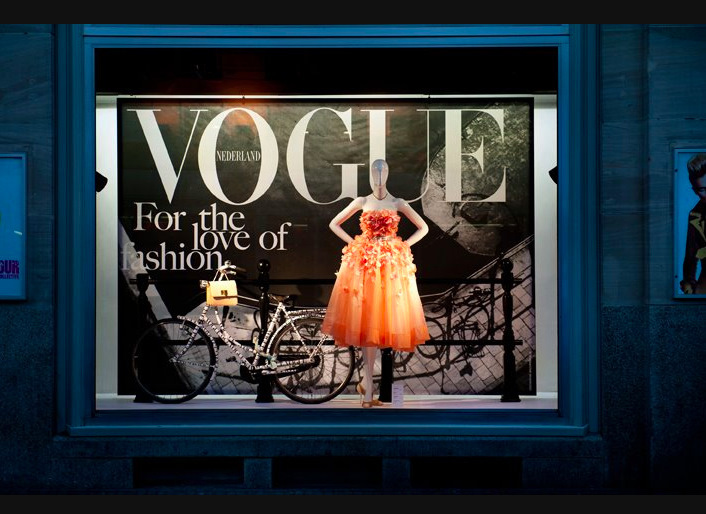 Currently eight window displays are transformed into fabulous works of styling, as if they are editorials themselves. They mark the launch of the first collectors edition in the Bijenkorf on March' 21. Aren't they gorgeous? You can see them all here. Any plans for buying Vogue Nederland? Wat geweldig, kan niet wachten om te zien hoe het wordt! This looks promising and exciting but I'm wondering if this is some kind of an evil scheme of yours to pressure me to learn Dutch, haha. It's always exciting when new magazines launch! I hope it will be great. So, keeping my fingers crossed for a creative and high quality content & editorials of VOGUE NL! Hoi, ik ben benieuwd hoe het er uit gaat zien. Ik hoop niet zoals US Vogue! Trouwens, een leuk intervieuw met prachtige foto's in de Classiq blog, met name de laatste foto. Het zou niet misstaan in een mode blad. 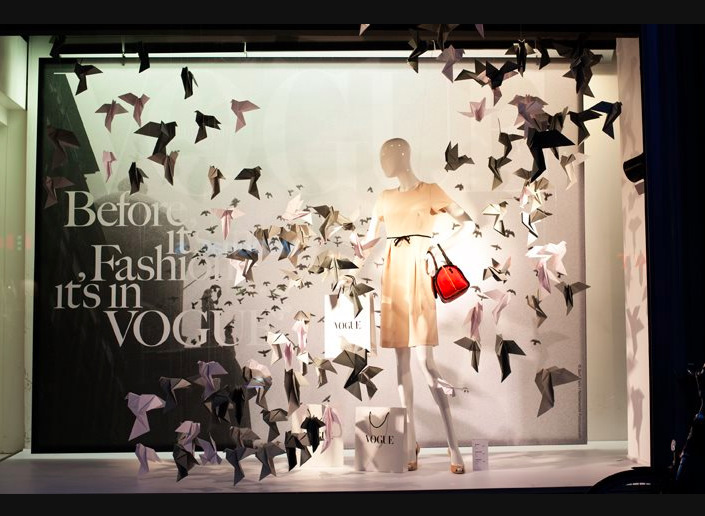 I always love a good window display and these are all quite nice. I really like the polka dotted dress in the second window. 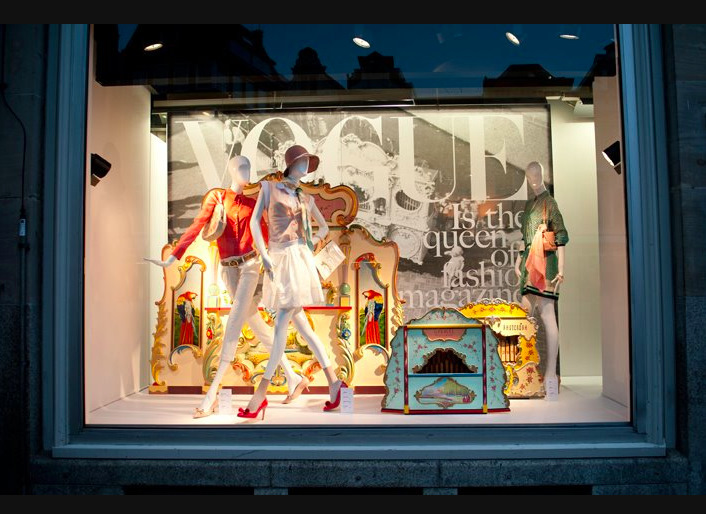 Yo compro Vogue aqui en España y es muy buena, seguro que allí también. It's going to be very interesting! I'm curious to see if they ever going to launch a Belgian edition considering the great tradition of the Antwerp school and its designers...Actually I wrote a post about my daily reading routine and favourite fashion magazines (http://notjustaprettydress.blogspot.com/2011/06/reader-or-my-daily-routine.html), which include Vogue UK (for the creativity of British fashion), Vogue US (for the interesting features and anything by Grace Coddington) and Vogue Paris (for the amazing pictures and audacious editorials). I find this so interesting! My favorite vogue has always been Vogue Italia and I usually pick up French Vogue when I'm traveling. But the dutch women have such great style I am looking forward to this! Thanks Cristel for your kind birthday wishes! Hope you have a wonderful weekend! We don't have Vogue in Sweden yet. 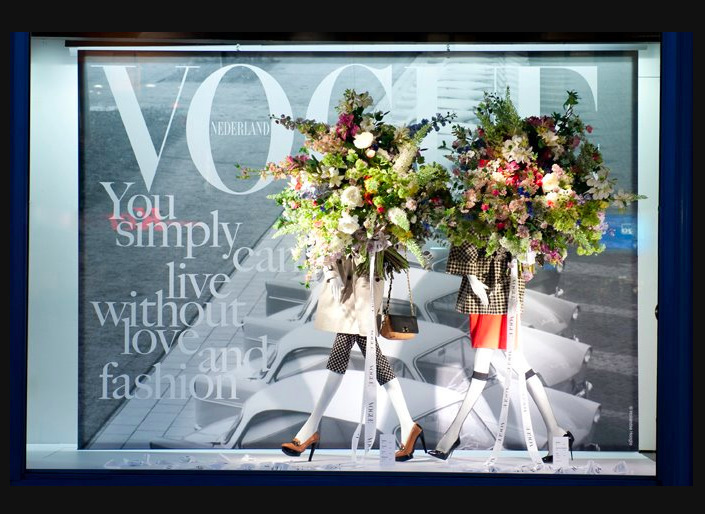 But Japan Vogue is always a true inspiration.